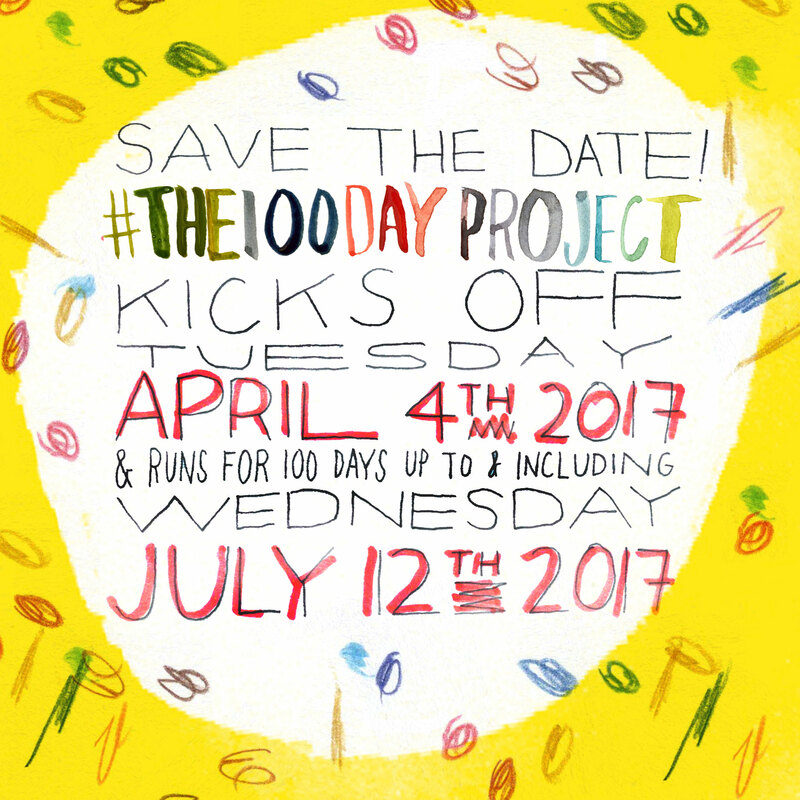 Sketchbook blog: #The100DayProject begins today, April 4! Today, April 4, begins the 100 Day Challenge on Instagram. Artists and artisans from all over the world will challenge themselves to create something (and post it on social media). It's an excellent opportunity to hone your creative skills and dig deeper into one subject. 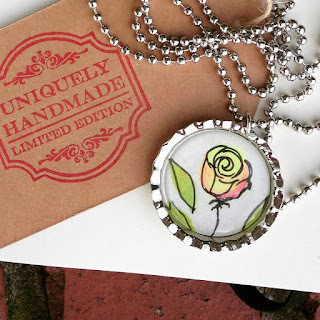 This year, I will focus on my handpainted bottlecap jewelry, called Endearing Young Charms. You can find my work by typing #100daysofcharms into the search bar on Instagram or by going directly to my account. You can find all types of entries by searching the hashtag #the100dayproject on Instagram. I started last year with #100DaysofLittleInspirations. That's a series I paint for Art-o-mat. If you decide to participate, please comment below so I can follow your work. Let me know if you have questions. The last day is July 12. If you miss a day, that's OK. Just keep on posting when you can, and don't worry about the deadline. Remember: it's all about fun and self improvement in your chosen artistic discipline. #the100dayproject was inspired by Elle Lune, who made this work above. The original founder of this phenomenon on Instagram is Elle Luna. She is teaching courses surrounding the challenge, and you can find more information on her website. I hope that today you can find some time for yourself and for creative exploration.